Join the Greater Fort Worth PRSA chapter to celebrate the 50th anniversary of the Accreditation in Public Relations designation. Speaker Douglas Cannon, Ph.D., APR + M, will use examples from his career to illustrate how APR has helped set practice standards and influenced how public relations people approach their work since 1964. 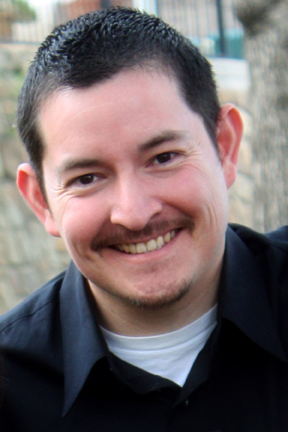 Offering his work with The United Methodist Church in Texas as a case study, Cannon will focus on approaches to research to prepare for public relations activities, planning to reach well-defined objectives, implementation steps, and evaluation of results based on criteria established in advance. Greater Fort Worth PRSA APRs and Fellows will also be honored at the lunch. The APR is the public relations industry’s only national postgraduate certification. The voluntary credential assesses a candidate’s knowledge, skills and abilities in 60 areas of practice. They include research, planning, program evaluation, business literacy, ethics and management skills. The Universal Accreditation Board administers the APR program and includes representatives from eight public relations professional associations (including PRSA) and the Department of Defense. For more information about obtaining the APR designation, visit http://fortworthprsa.dividesignpros.com/accreditation. Wednesday, April 9 • 11:30 a.m. to 1 p.m.
Douglas Cannon, Ph.D., APR + M, has been Accredited in Public Relations since 1991 and is serving his second stint on the Universal Accreditation Board. From 2001 to 2007, he represented the Religion Communicators Council and helped re-engineer the Accreditation Examination. Since 2012, he has represented PRSA. He has helped launch the additional skill identifier for military communication (APR+M) and a new entry-level certificate for recent college graduates. Cannon teaches public relations at Virginia Tech. From 1984 to 2008 he was a communication executive for The United Methodist Church in Texas. Before that he worked as a print journalist in Ohio and Indiana and taught journalism in Kentucky. He served as a U.S. Army public affairs officer for 28 years (active and reserve) and retired as a lieutenant colonel in 2003. Categories include full campaigns and tactics ranging from digital and video to writing and media relations – your very best work from January – December 2013. Awards will be given for outstanding achievement in a strategic multi-tactic program and for the items or components that contribute to the success of an overall program or campaign. Additional awards will be given for Communicator of the Year and student work. Winners and runners-up will be announced May 29, 2014 at the Worthy Awards dinner celebration at the Fort Worth Club. To enter, and see the full list of categories, visit http://worthyawards.com. It’s time to break out the bubbly and balloons! The Greater Fort Worth PRSA chapter is celebrating the 50th anniversary of accredited in public relations (APR) this year and is planning to celebrate at an upcoming meeting. Last year, the chapter introduced a local accreditation mentorship program, or LAMP. This year, the chapter has added an easy-to-use form on the accreditation page of the GFW PRSA site for those interested in earning the APR. To view, visit http://fortworthprsa.dividesignpros.com/accreditation/. Potential candidates can request a mentor or ask questions about the process. Accreditation Committee co-chairs Carolyn Bobo, APR, Fellow PRSA, or Linda Jacobson, APR, will then assist with the request. Those who have earned APR demonstrate commitment to the communications profession, to their clients, to their company or organization, and to themselves. Earning the APR is an individual achievement and is recommended for those who have been in the profession for five or more years. The chapter supports individual efforts and offers scholarships to those who successfully complete the process. Do those three little letters after a colleagues’ name really spell success? Is Accreditation—and maintenance—worth the time and effort? What’s the ROI on APR, and does it pencil out? Join Sue Walton, APR, vice president for university and public affairs, University of North Dakota; Grace Leong, APR, managing partner, Hunter Public Relations and Steven Zenofsky, APR, assistant vice president and manager, public relations, FM Global, for a fast-paced webinar as they share concrete examples of how the APR took their career to the next level, and how it continues to deliver value. How the APR Can Boost Your Career is scheduled for April 10, from 2-3 p.m. CDT. Register here: http://www.prsa.org/Learning/Calendar/register/6144. GFW PRSA members enjoyed lunch on Wednesday, Feb. 12, and learned how to submit a winning nomination at the 2014 Worthy Awards. The GFW PRSA Chapter’s Worthy Awards were presented for the first time in 2012, and the professional recognition program grew substantially in its second year. Committee members are working now to make the awards process and event even better in 2014. Speakers at the GFW PRSA luncheon on Feb. 12: (left to right) Gigi Westerman, APR, Fellow PRSA, 2013 Worthy Award Best of Show winner; 2014 Worthy Awards co-chair, Holly Ellman; Worthy Awards co-chair Joe Stout, Director of Integrated Communications for Lockheed Martin Missiles and Fire Control; and Shannon O’Quin Wingo, R.D., L.D., IBCLC, the WIC program Breastfeeding Coordinator for the Tarrant County Public Health Department.